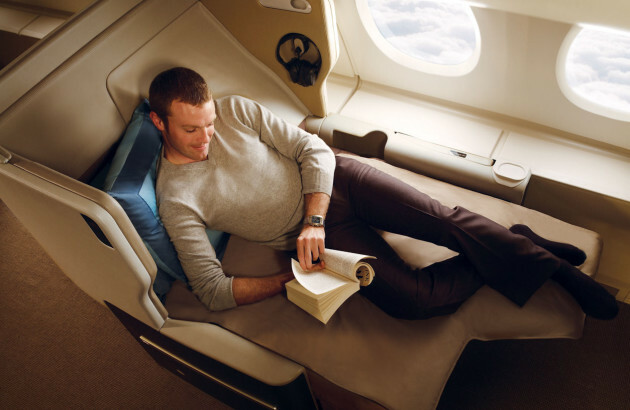 Singapore Airlines has today loaded Business Class sale fares to a variety of Far Eastern and Australasian destinations. Destinations on offer include the airline’s Changi Airport home, as well as Jakarta, Perth, Sydney and Auckland. Fares start at an advertised £2,160 return from London. Offers are valid for outbound travel from London Heathrow and Manchester Airport on Mon/Tue/Wed/Thur only between 04Nov13 and 09Jan14. Inbound travel is not permitted between 07Feb13 and 16Feb14. On sale from 09Sep13 to 07Oct13. Minimum stay – 10 nights in Singapore or at destination. Maximum stay – 3 months. Availability is limited to a restricted number of seats on selected flights only. Fares are subject to availability, include associated taxes and surcharges and are correct as of 09Sept13. 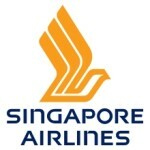 For more information and to book, visit www.singaporeair.com. Forewarned, as they say, is forearmed, but most casual observers would struggle to find very much out about Singapore’s Business Class service between their home hub and Perth, six and a half hours away in Western Australia. It would be natural, would it not, to assume that the seats (for example) would be those prominently featured in global press advertising and on the SQ website. A wiser, more experienced traveller might moderate their expectations based on, say, the Amsterdam to Singapore ‘wedgie’ seat? Only the most persistent of enquirers might therefore be aware that their SGD6500 (cGBP2500) ticket would not afford them those most-marketed on board facilities. Nevertheless and despite the entirely underwhelming experience in travelling from the Netherlands, it was to be hoped that the airline’s home airport would offer something rather more akin to its reputation. Through the late evening streets, progress to Changi was rapid and driver pulled up right outside the Business Class check-in area. A trolley was procured and our luggage loaded aboard, before we waved him off and made for the desks inside the terminal building. With no queue to detain us, the formalities were completed without difficulty, but the Singapore Airlines agent was more than a little disinterested in summoning the pre-arranged wheelchair. In fact, she was downright obstructive. Despite pushing the matter with her, she was entirely unwilling to summon a chair and pusher and, at length, her only concession was to wave us somewhat dismissively in the direction of a desk from which we could collect a wheelchair ourselves. Her repeated mantra was that we would have no problem getting to the lounge ourselves and that only from there would a pusher be provided. That we then took a wrong turn and found a security screen barring the indicated route to the Assistance Desk, with the dodderer in tow (well, there were no seats, I didn’t want to leave him and he, of course, was the evidence that I needed a castored contraption) meant that good humour was rapidly disappearing before we’d even sighted an aircraft. Eventually, with wheels beneath him, we made it through security, past the shops and up in the lift to the SilverKris lounge, Singapore Airline’s Business Class pre-departure facility. We were welcomed in and it was confirmed that a pusher would come when boarding was imminent. Indeed, a few minutes after sitting down, staff members were seen pointing towards us and, as it turned out, briefing the pusher who would later return. The lounge is large and seating was plentiful at this late hour (23:00), and what bustle there was dissipated rapidly as the last flights of the day left. Perhaps owing to the time, the food on offer was limited and looked reasonably antique (FCC reported that the offer at 17:00 the following day was rather more plentiful and fresh). There was no excuse for the choice of champagne however: a brace of opened bottles of Duval-Leroy which were languishing in long-melted ice, the last remnants of which lurked alone in a bucket of warming water. Indeed, the overall beverage selection was reasonably limited too, with the glassware far from sparkling. It probably didn’t help at this moment that I received an email from someone sitting in British Airways’ much-maligned Terminal 5. Their lyrical waxings over the reliably excellent BA food and beverage presentations in the Galleries lounge complex served only to throw Singapore’s home effort into sharp relief. A glass of free-pour Tiger later and our pusher returned, taking us through the Terminal to the rapid transit, and then onward to the gate. Our boarding passes were checked and we were rolled almost immediately down the bridge and to the aircraft door. From the outside, this Boeing 777 looked identical to that which had brought us from Amsterdam, but the interior appointments would come as something of a shock to an unaware connecting passenger from that flight or, worse still, one who had read only SQ marketing or their website. For this two-class aircraft, Economy and Business, was fitted to the so-called ‘Regional’ standard, with a Business Class seat that many airlines would have consigned to history as many as ten years ago. The curious ‘lilac camouflage’ upholstery wouldn’t appear to have been appropriate to any age however, recent or ancient. The Tattiest Amenity Kit In CreationTM was in evidence again, so at least there were eyeshades to blank out the lilac. Remember what I said about reliability? The crew busied themselves ignoring the complaints, plumping pillows and offering menus and drinks – again Champagne (Heidsieck), water and orange juice. At this point I must say that our assigned crew-member was absolutely superb – and I really mean that. If she had been reflected by all that and all those around her in the airline, then those bouquets and awards would be fully justified. Most subtly, she identified immediately on which side GCC wears his hearing aid, and made sure that she spoke clearly to him in that direction. She was charming, gracious and immensely helpful. In fact, it rapidly became apparent that she would toil ceaselessly throughout the cabin, throughout the flight as her more senior, male colleagues hid in the galley. Whilst we could of course have both, it was suggested that we might prefer to take either dinner or breakfast from the menu, and try for as much sleep as possible afterwards or before. It was a sensible proposal and we both selected breakfast. So, with boarding complete, we taxied to take-off and the beginning of our Antipodean adventure. The clunky SQ IFE system was not worth losing sleep over (literally), so with the seat pushed back as far as it would go, a couple of hours snoozing was managed and we were woken by the saintly stewardess in preparation for breakfast. While dinner would have offered Dim Sum, Pan Fried Prawns or Braised Egg Noodles with Beef, the breakfast selection was Cheese Omelette with Turkey Sausage or Fish Ball Noodle Soup. As adventurous a gourmand as I undoubtedly am, I opted for the omelette. Which, as it transpired, was a very good choice. In fact I’d go as far as to say that it was probably the largest, most enjoyable cooked breakfast that I’ve had on an aircraft to date, so that was something of a surprise. That it was served by the holy hostess just made it even better and, as the dawn broke over the Western Australian coastline, we commenced our descent into Perth’s International Airport. Slightly ahead of time and pleased to be back in this most remote of state capitals, an airport wheelchair pusher was waiting for us at the aircraft door and we had the first opportunity to test Singapore’s priority baggage process, as of course JetQuay had handled the dirty work upon our arrival at Changi. The special assistance afforded us the use of a separate, queue-less immigration channel and our bags were, pleasingly, amongst the very first to appear on the carousel. Through the agriculture check and customs and our obliging airport man informed us that he was more than happy to remain with us as long as was necessary. Since I had a Hertz car booked and the compound is a little way from the desk in the Arrivals Concourse, this was an enormous help and a great welcome to Western Australia. Final Verdict for Singapore Airlines (ex-Raffles) Business Class: 6.5/10. The disinclination to provide wheelchair assistance, the under-catered lounge and the sub-standard seating on board could never be balanced out by the good food and excellent service from our over-worked crewmember. 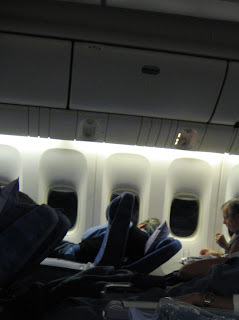 The audible disappointment of fellow passengers with this most-aged of four non short-haul Singapore Airlines Business Class products in the air, proves that reliability and consistency, not to mention accuracy and transparency of marketing, are vital components in the delivery of real customer satisfaction.